Workers at D’Bone Collector Museum recovered the Cuvier’s beaked whale east of Davao City earlier in March. In a Facebook post, the museum said the animal was filled with “the most plastic we have ever seen in a whale”. There were 16 rice sacks in its stomach, as well as “multiple shopping bags”. 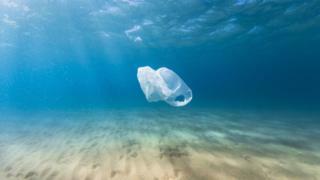 Five Asian nations – China, Indonesia, the Philippines, Vietnam and Thailand – accounted for up to 60% of the plastic waste that ends up in oceans, according to a 2015 report by environmental campaigner Ocean Conservancy and the McKinsey Center for Business and Environment.